Everyone needs a little me time now and then to help relax, unwind and recharge the batteries. 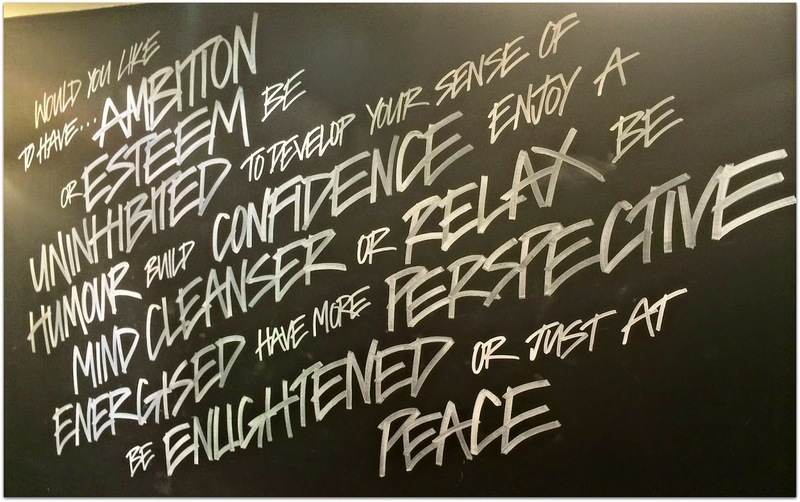 As you all know I love Lush products, but I have never visited the Lush Spa before. 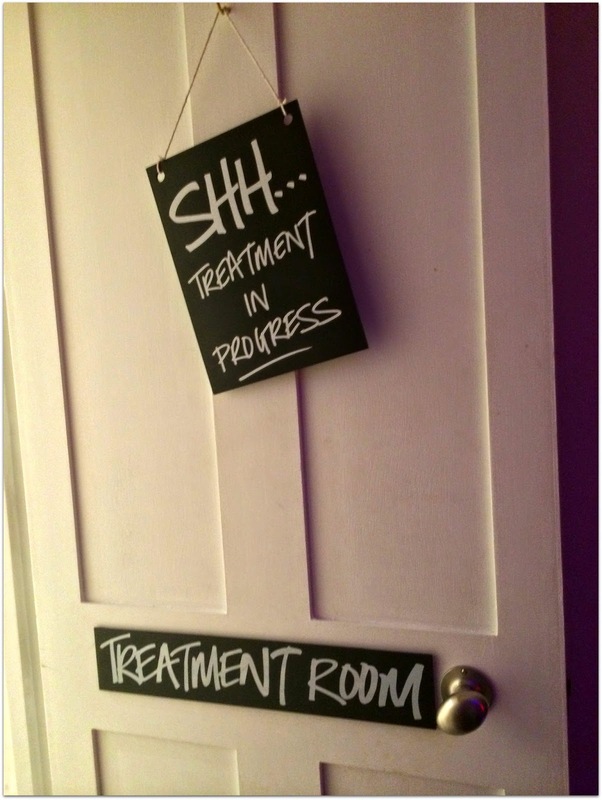 So when I booked a Lush Spa treatment at Chelsea, London I couldn't wait. The shop is on the Kings Road in Chelsea. They do lots of wonderful treatments and picking one was quite a challenge, but I opted for The Comforter (£75). To get to the spa you have to walk through the wonderful shop, resisting the temptations to buy the whole shop. 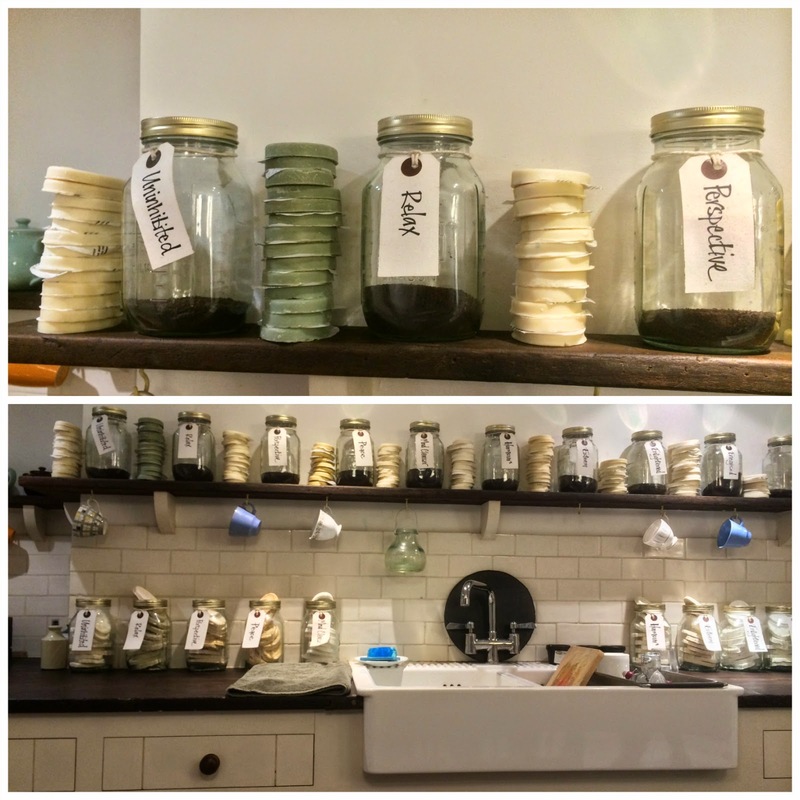 At the end of the shop is a winding stairwell that leads to the basement, the spa is set in a quaint kitchen with tea and massage bars adorning the shelves. It reminded me for some reason of Alice in Wonderland, I am not quite sure why. Maybe the little bottles with messages dotted around. It also had inspiring messages written on the walls. I was greeted by my masseur who was lovely and friendly, instantly putting me at ease. He checked that I had no medical complaints and that I wasn't about to drop dead. With the formalities over it was on with the show. The Comforter Lush claim, would help stimulate my senses and help me dive into a world of pure imagination. 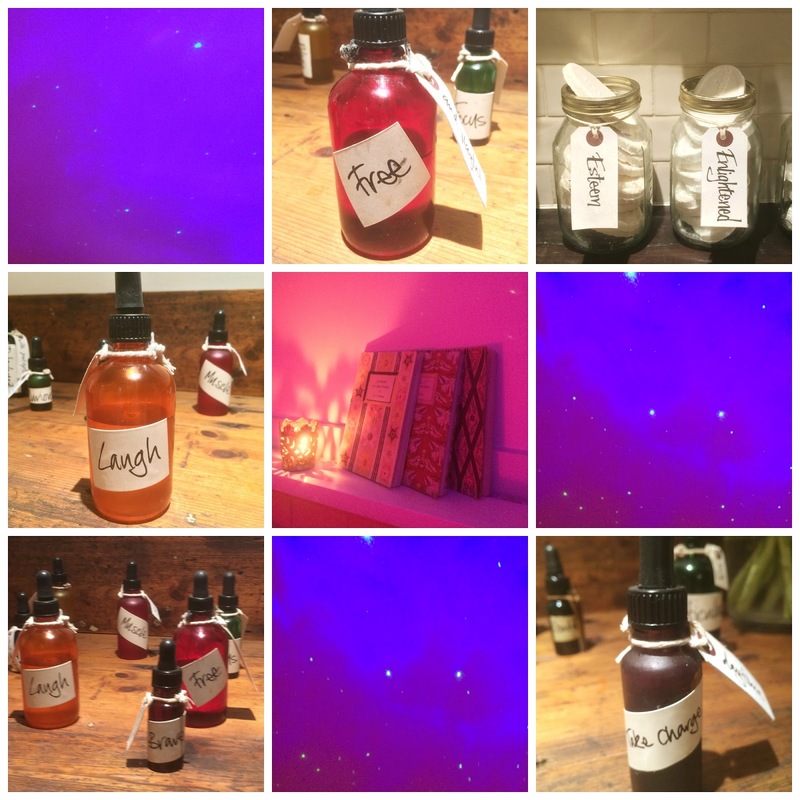 The room was dreamy with wonderful lighting, floating stars and the most wonderful aroma. After getting changed I tucked myself up in a warm and cosy duvet, with a soft mattress that felt like a cloud underneath. I rang the bell placed by the bed and my dreaming and uplifting journey began. The massage consisted of dreamy music that instantly helped me drift into a deep relaxation. Coated with a hot chocolate ex-foliating body scrub I was instantly relaxed. I did every now and then have the temptation to eat the product, but that soon passed. The rose scented bubbles and rose massage that followed was wonderfully rhythmic and allowed me to drift off. An hour drifted by and I was seriously chilled by the end. When the massage was completed, I was offered a wonderfully refreshing drink of candy floss and elderflower juice. This was the sweet kick back to life that I needed. I cannot stress how wonderful The Comforter was, it certainly lived up to its name. Considerable thought has gone into every step of this massage which was totally uplifting. I was seriously chilled by the end and wonderfully relaxed. I will certainly be visiting again to try out one of the many other massages on offer. 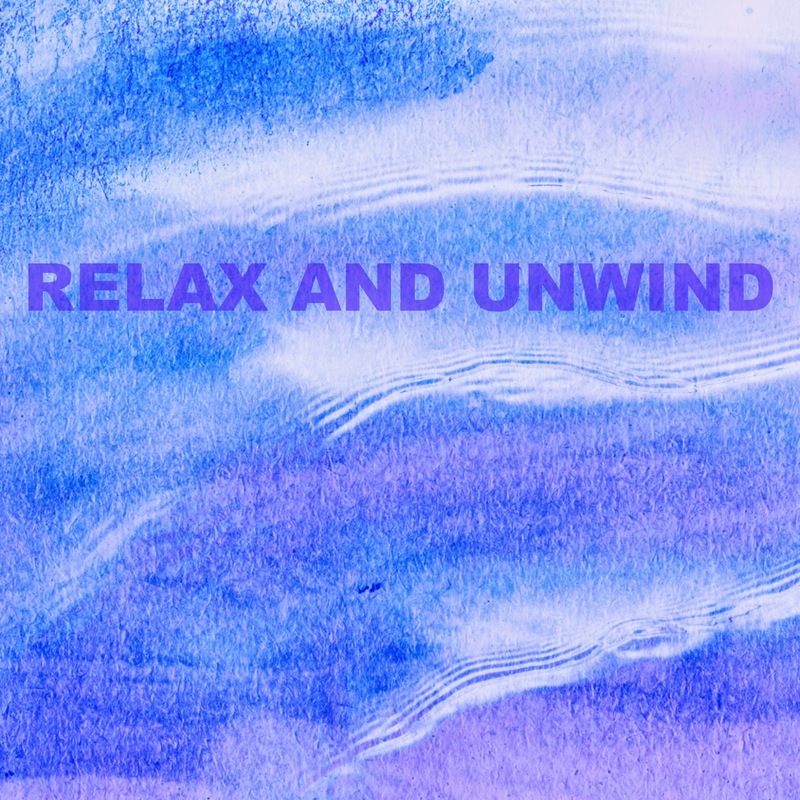 What do you do to relax and unwind? Do you have a favourite massage? I can totally see why this made you think of Alice in Wonderland! I was going to say the same myself when I saw the pictures! I need to see if there's a Lush spa near me, this sounds so good! How fun Lucy! I didn't know Lush had a spa. That makes me want to take a spa day. Although I will have to find somewhere that serves delicious drinks at the end like yours. 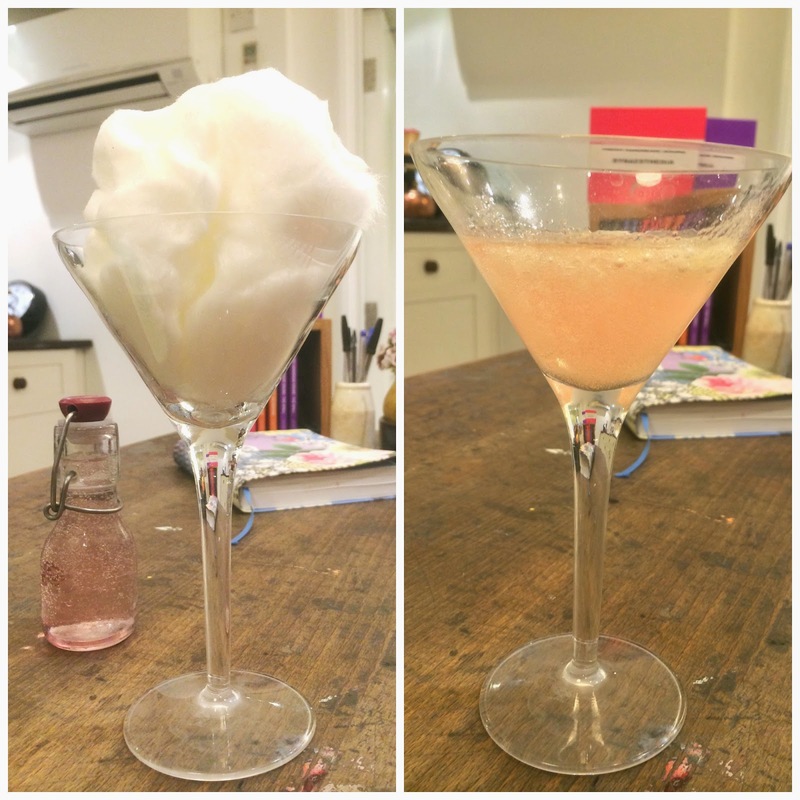 A candy floss drink?! Did the juice dissolve the candy floss? I'm so intrigued. The massage sounds great, I've never been for one myself but it sounds dreamy. This all sounds wonderful! I had no idea that Lush even did personal treatments, I might have to look into it! 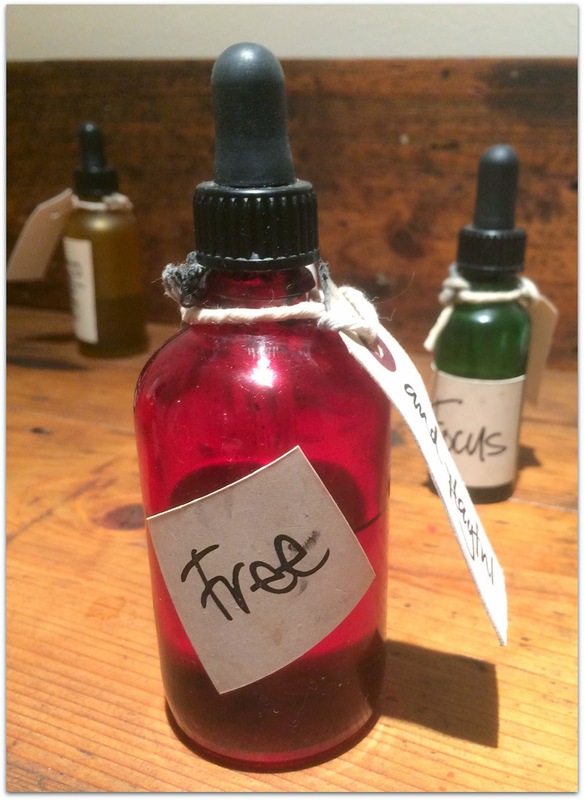 I really love the little bottles with the messages too, lovely idea! I love getting massages and hamman treatments, such a good way to unwind. I actually didn't realise Lush did spa treatments. I Love Lush, want to find out if there is a spa in the Netherlands right now! oh wow this looks amazing! never knew they had a spa!! The messaged bottles are sooo cool!